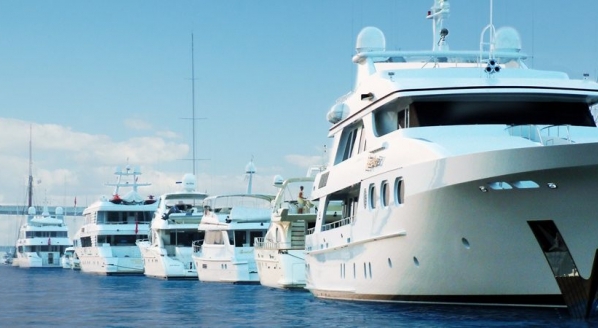 It seems a shame to ignore the spectacular scenery of Italy’s Lake Maggiore, but when you’ve got a new toy to play with it’s hardly surprising that the grand shoreside villas and distant snowcapped mountains play second fiddle. 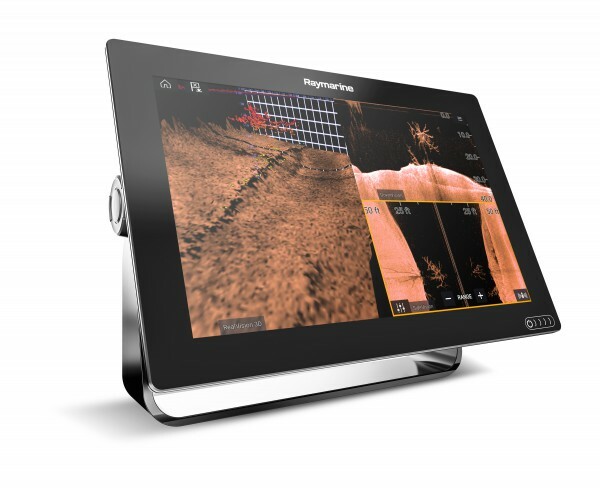 I am huddled around Raymarine’s new Axiom multifunction display (MFD), studiously ignoring the passing view and seeing if we can spot fish or something of interest on the lake bed via the unit’s RealVision 3D sonar. 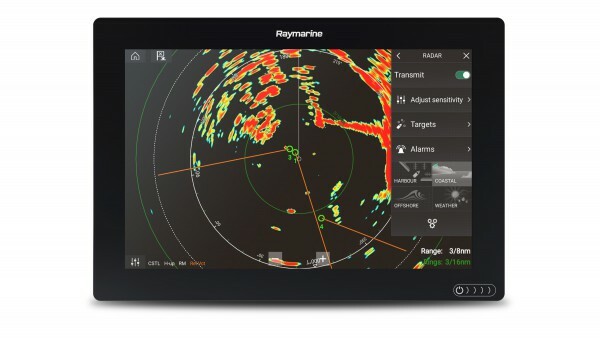 Raymarine’s latest box of tricks features more than just a facelift. Just released to market and currently available in 7-, 9-, and 12.1-inch screen versions, the Axiom system features at its heart a quad-core processor – an upgrade from the previous system’s dual-core. 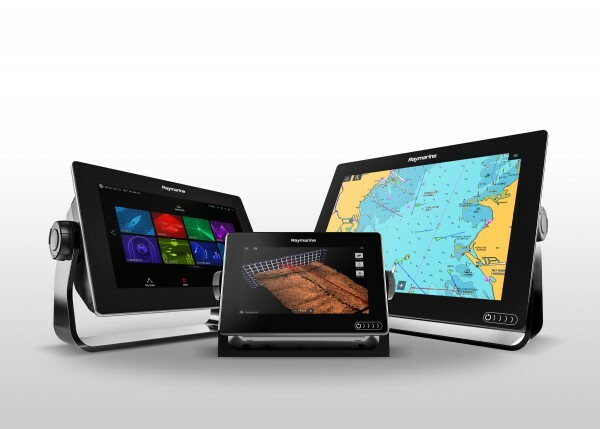 In addition, the software brains back at Raymarine HQ have updated and overhauled the LightHouse 2 operating system from previous gear, and the Axiom not only features the not-surprisingly named LightHouse 3 OS, it also sports an entirely new – and very fetching – graphical interface. With full touchscreen operability, it is a breeze to flick through screens, zoom in and out on pages, add custom data overlays and set up your unit, and a clever swipe-to-lock function means that when your display is set you can blast into the rain and spray with fear of a stray hand or a barrage of water droplets interfering with your nav essentials. 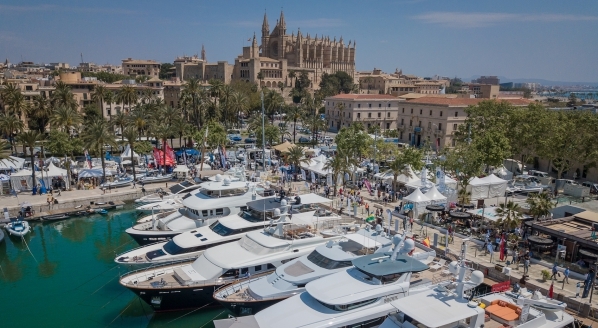 Moreover, the OS has been deliberately designed to be highly intuitive – I guess the engineers at Raymarine have figured out that us crew, and boaters in general, are not always favourably inclined to read a manual before diving in. 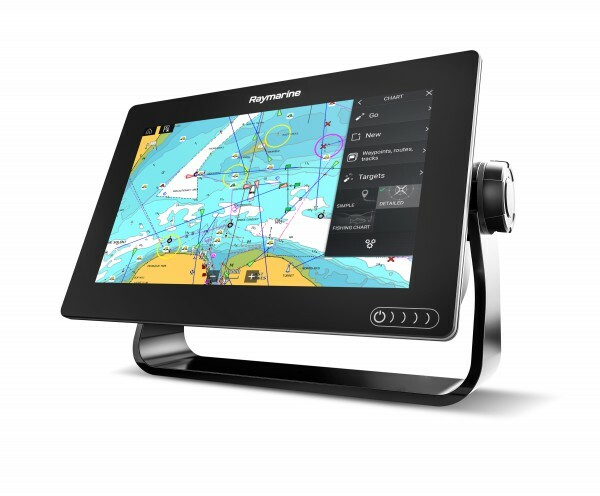 The result is a fluid and intelligent system that makes switching pages, customising set-up, calling up instrument or nav data, marking waypoints, planning and reviewing routes, and a whole host of other functions simple and convenient. "It has been written,"explains director of sales and marketing Andy King, "to know what you're trying to do." 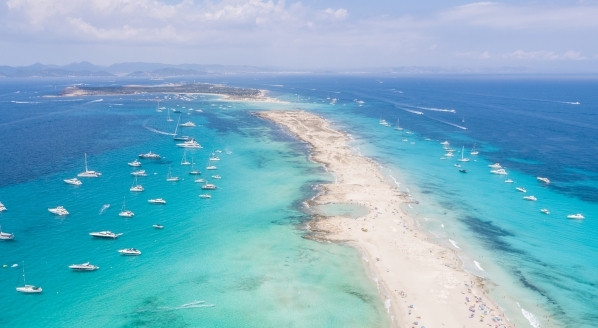 Further, it has been written to know who is trying to do it - user profiles can be set and saved, making it easy to switch between preferred functions and screen layouts depending on who is at the helm or what activity you might be using the boat for. The quad-core power also means that certain features have been considerably advanced. 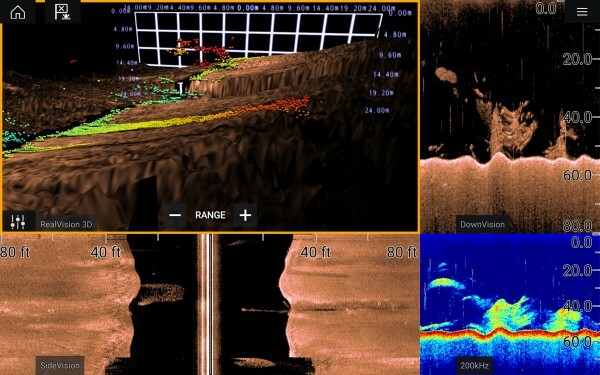 Take the RealVision 3D sonar, and our attempts to find fish, as an example. A new, single transducer unit emits CHIRP bursts for DownVision, SideVision and in high frequency mode to generate an instant 3D image of your surroundings, up to 300 feet to the side and 300 feet down. 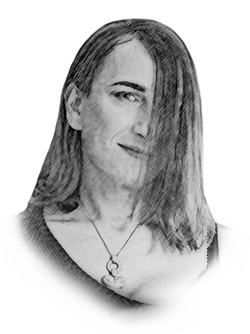 The page can be set up with the 3D image – which can be zoomed, rotated ad manipulated with two fingers – or a combination of 3D, down- and side-views according to your preference or needs at the time. Granted the unit does not offer forward-looking sonar, but this is not a $250,000 piece of kit with an array the size of a bath tub either. The result is a fantastic tool for exploring the local environs, finding fish, finding wrecks or other areas of interest, and could prove highly useful for those day excursions away from the mother ship, or perhaps for scouting the seabed from the tender on approach to an unknown bay or anchorage. What’s more, the transducer features gyro stablisation to compensate for boat movement, creating a seamless image on the screen. 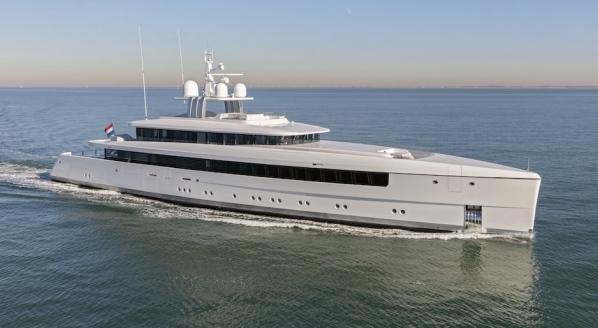 Of course, the system fully integrates with electronic charting, radar and cameras, of which Raymarine parent company FLIR has several. 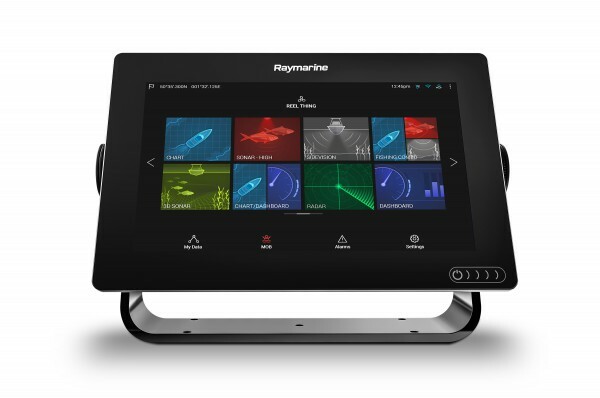 Moreover, Raymarine is planning to enhance functionality of the Axiom units via regular software updates which are scheduled for quarterly release, adding further features to an already packed feature set. Mark Garland, global product manager for Axiom, also hints that there are plans to release larger versions of the Axiom unit in the future, potentially up to 24 inches in size. The current three Axiom models range from €795 to €3,295 and are available now.